Have you known that our company employ only professional workers and buy a modern vehicle? That is why we do all quickly and on time. We take care of your furniture that is why we are ready to provide the insurance as a guarantee that nothing will be harmed. We can not only transport but even furniture your new house in Anaheim – it is one more reason to fell in love with our company. We see you, our dear client. We know how you nervous because you want to spend the moving day without troubles, we know how long you sit with computer looking for the ideal company in Anaheim, and we know what you want from this company. Firstly, it is important for you that the company is reliable. It should fully take charge of your furniture and seriously be responsible for it. Secondly, you would like all services are done on time, and we understand it because time is a very valuable resource. Thirdly, you think that it would be great if the company provided packing materials. And we do this because we know how much energy you would spend on this in shops. And the last point is “obedience”. All should be as a client wants. So, all will be as a client wants. Plan and the check-list. Do you know that it is a very important part of the moving organization? Because when you make a check-list and a plan, you don`t worry that you will forget something or something will go wrong. We help our clients to make a check-list and a plan and follow it on the Anaheim moving day. Packing. We provide all packing materials, which are needed – boxes of different type and size, wrapping papers, and so one. We accurately pack all your belonging in these boxes and put them into the vehicle. Transportation. We have new modern transport in our company and professional drivers, which are ready to contain all your furniture and relocate it to Anaheim quickly. Don`t worry, nothing will be damaged. Unpacking and furnishing. We can not only unpack all boxes with your stuff but even furniture the new house in Anaheim how you want. You should only tell us, or show a scheme and go drink coffee, we will do all the job. Insurance. We provide insurance for our clients because we take charge of their things and we want them to be confident, that we are reliable and all will be good with the furniture at the end of this journey. Even if you move in the limits of your city, especially if it is Anaheim, you need help with relocation. That is why we offer you local moving services package. You can choose – to use all that we can propose, or take only some of the services, for example, transportation or loading. 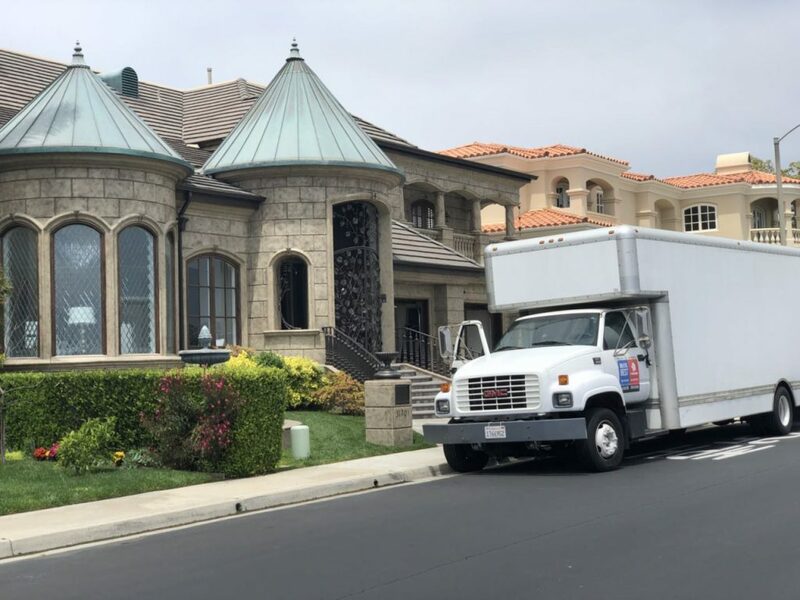 But you should know, that we are ready to do any of moving duties for you and it doesn`t depend on the distance between your old home and the new one in Anaheim. We do planning, packing, relocation, unpacking and furnishing of your house. And, of course, we provide insurance. Well, now you know to whom call if you want to move to the nearby street. Do not hesitate to ask if we transport small things to Anaheim. Of course, we do, if you need it. Furthermore, we transport it very accurately and quickly. And if you need, we can do the same procedures as with the big moving stuff: pack it, put into the vehicle, relocate, unpack and put on the right place in your new house in Anaheim. It is not difficult for us, but it can an easier life for you, and we are very glad to help you with this. Now you know all about our company: that we are reliable, professional, we have high-quality services and can do all the moving job instead of you. And, it is not all. Because you don`t know yet that our online-calculator let you count the cost of your moving and understand what you are paying for. So, there are a plenty of reasons to fill in the form right now, wait for a call from our company, talk about all the details and start working at your ideal moving to Anaheim.